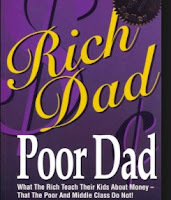 Rich Dad Poor Dad Story Fact or Fiction? Why Are So Many People Inspired By It? Every once in a while, Robert Kiyosaki and “Rich Dad Poor Dad” will either get mentioned in my daily conversation topic with friends and relatives or emerge in some websites or blogs that I am reading. Hence the purpose of this post is just to write down my own personal view. I first got introduced to the famous financial literacy book “Rich Dad Poor Dad: What The Rich Teach Their Kids That The Poor And Middle Class Do Not” by the great Robert Kiyosaki during my University days. My school mate from Indonesia asked me whether I got read “Rich Dad Poor Dad” while we were working on a project together. I replied to him that I had not heard of it let alone read it and my entire group of friends all looked at me with disgust as if I am a “SuaKu” (Mountain Turtle). Feeling absolutely embarrassed by my own ignorance that there is this great legendary financial literacy book, I went to purchase a copy of it from the bookshop. It was a good and informative book no doubt, but from my personal perspective, I was rather put off by Robert Kiyosaki worshipping the “Rich” Dad (I think) excessively and instead portrayed his own Dad who gave him life as someone so much more inferior due to the traditional mindset on work and financial literacy. 1. Shocking Revelation: “Rich Dad” is Not Real, but a Myth Like Harry Potter. Robert Kiyosaki bluffed! Is There Poor Dad? 2. Does Robert Kiyosaki’s ‘rich dad’ actually exist? 3.Rich Dad Poor Dad… 2019? 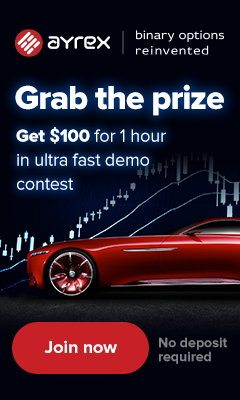 Robert Kiyosaki? I would take what was written in Rich Dad Poor Dad with a pinch of salt. There are a lot of good pointers mentioned but don’t just take it as if everything is true and invaluable. While I was impressed on the overall ideas presented, nevertheless, Rich Dad Poor Dad never had a significant influence on me. It is more of like the famous “Chicken Soup For The Soul” series for the feel-good effect. I simply could not discern facts from fiction written in the book based on so many critics doubting the authenticity of the “Rich Dad”. Furthermore, this kind of undermining one’s own Dad and putting the “Rich Dad” on the pedestal makes me wonder whether this is just a marketing technique to gain maximum attention. Read it for yourself….you can either choose to love it or hate it….but the fact still remains that this is one of the most read financial literacy books that have sold over 58 million copies worldwide. Are you one of the folks who swore by everything taught in “Rich Dad Poor Dad” or do you belong to the skeptical group?